Is it Springtime yet? Spring is coming to Kamloops, as it does every year but we just aren’t sure when ! We know that the official first day of spring has come and gone and that snow has all but disappeared from the corners of our great city but do we know when Spring blossoms actually arrive? Some things we do know. We know that there is beauty in ever season and we are fortunate to have all four seasons in Kamloops. When winter is done, it takes awhile for the cold to leave the ground and allow the new growth to happen. We will have green on our hills once the sunshine has time to warm it all up and we’ll be thrilled to see the green before the heat of the summer sunshine turns it brown again. We know that the deciduous trees will grow new leaves and dress the branches that were bare and cold all winter. We will soon hear the robins sing their songs. The trees will give the birds places to build their nests to lay their eggs then when the time is right, they will teach their babies to fly. 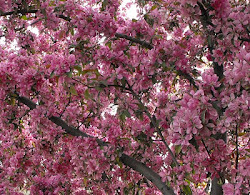 We also know that the blossoms will explode one day soon on our flowering cherry or plum and other trees and color our tree lined streets and walkways. This will give the bees places to buzz around and get their nectar and to pollinate the blossoms for us. Blossoms bring beauty to any tree like this beautiful tree at Miss Wende’s mini golf on Summit Dr. and plays dress up with the gorgeous pink blossoms. The shame is that the blossoms don’t last long so we shall enjoy them while they’re here. We know the trees are the stars of the blossoms but there are flowers blossoming all over town. The crocuses are one of the first ones to pop out of the ground and tell us all that spring is coming. These tiny flowers line the roadway on our drive out to Tranquille Wildlife Management Area. City parks like Albert McGowan have a great assortment of trees, and this park is not as old as some of the others so the trees are not as large or mature as in other parks but they sure do put on a great show of color in the spring. Spring will arrive and we can all hope that Mother Nature has decided that time has come and that all her spring wardrobe is ready to come out of her winter closet and show us her beautiful blossoms once again. We know that many more plants and flowers will pop up on the hills when Spring does get here. The hills over the North Thompson River are dotted with hardy brown-eyed daisies to brighten up our days. 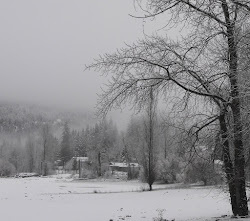 We also know the warmer weather soon allows the winter snow to runoff the distant mountains which will raise the water level of the Thompson River and bring so much more to life. The sage on the hills comes alive and we will once again see green hills surrounding Kamloops. What we do know is that Springtime is almost here. Mother Nature knows what she is doing and she is very busy making Spring happen! Now let’s just sit back and enjoy the wonders to come in our hometown of Kamloops, BC.